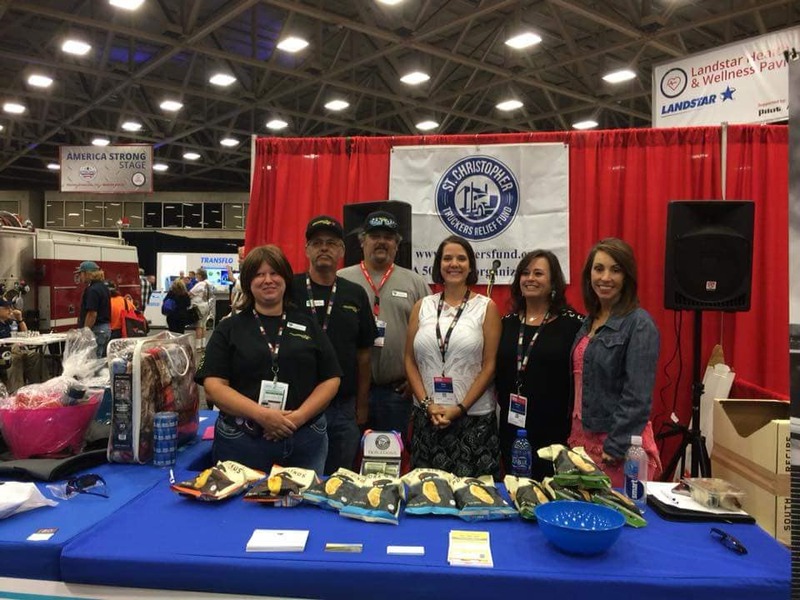 During GATS 2018, nonprofit St. Christopher Truckers Development and Relief Fund (SCF) received $16,038 from the Great American Trucking Show’s annual auction and concert in the TA Petro parking area. Matching donation of $16,038 will help nonprofit serving over-the-road/regional semi-truck drivers and their families. KNOXVILLE, Tenn. – Aug. 29, 2018 – Over the weekend, nonprofit St. Christopher Truckers Development and Relief Fund (SCF) received $16,038 from the Great American Trucking Show’s annual auction and concert in the TA Petro parking area. Shortly after, Heartland Express, a best-in-class transportation and logistics organization, matched the donation for a total of $32,076 to help SCF support over-the-road/regional semi-truck drivers and families in need. According to event organizers, the amount raised by the GATS event, which included both silent and live auctions, was a record. It originally totaled $15,755, but an additional $283 was raised through games and activities at the SCF booth. SCF corporate sponsors TravelCenters of America, Blue Tiger USA, RoadPro, 4 State Trucks and others provided auction items along with donations and creations from drivers. Truckers needing assistance from SCF may apply by clicking here (https://truckersfund.org/application/) . To donate to SCF’s mission to support truckers and their families in financial need, click here to donate to SCF . About Heartland Express: Heartland Express, Inc. is an irregular route truckload carrier based in North Liberty, Iowa, serving customers with shipping lanes throughout the United States. Heartland focuses on medium to short haul regional freight, offering shippers industry-leading safety and superior on-time service so they can achieve their strategic goals. Since its initial public offering in 1986, Heartland has grown from approximately $20 million in revenue to one of North America’s largest, most profitable, and best capitalized truckload carriers. Heartland has been recognized throughout their history for their exceptional customer on-time service from some of the top shippers in America. For more information, visit HeartlandExpress.com . About St. Christopher Truckers Development and Relief Fund: The St. Christopher Truckers Relief Fund (SCF) helps over-the-road/regional semi-truck drivers and their families who are out of work due to a recent illness or injury. Assistance may be in the form of direct payment to providers for household living expenses, insurance, prescription drugs and some medical procedures. The SCF also provides health and wellness programs such as free vaccines and smoking cessation. Thank you to everyone that participated in the GATS 2018 auction events. Corporate donations received from TravelCenters of America, Blue Tiger Bluetooth, 4 State Trucks, Minimizer, RoadPro Family of Brands, TrukrStik, Hammerlane Apparel, Mother Trucker Yoga, Fleet Mattress, weBoost, SHE Trucking, Jacinda Lady Trucking, Zephyr Polish, Rebecca Thompson Lula Roe, Extreme Friction Fighter, Renegade Polish, White Diamond Polish. 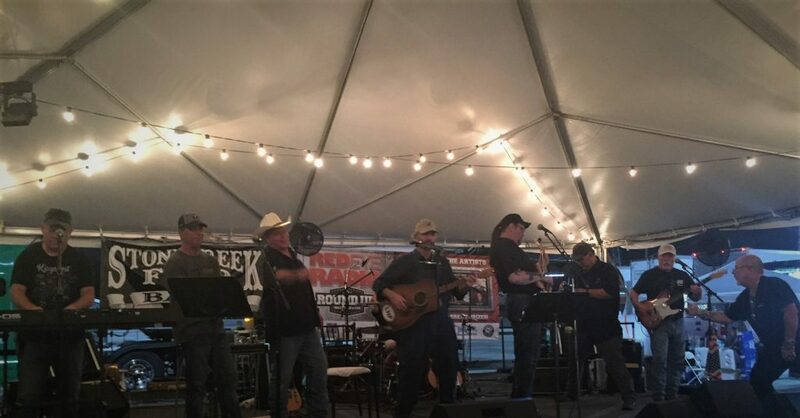 Entertainment provided by Bill Weaver, Taylor Barker, Stone Creek Four, Ken Freeman and Paul Marhoefer. Entertainment sponsored by Heniff Transportation and Uber Freight. Auction team: Scott Wagner, Melanie Walker, Bruce & Deborah Richard, Jeff & April Veronen, George Lepisto, Sr., Jennifer Gossman, James & Jennifer Rogers, James Shelley and Robert Barnette. Parking lot events by Randall Reilly and coordinated by Les Willis. © 2018, Allen Smith. All rights reserved. Allen Smith is a 37 year veteran who started at an early age in a household goods family moving business. He began driving straight trucks in 1977 and moved to the big rigs in 1982. His experience within the industry includes; owner operator, company driver, operations manager, and owner of a long distance HHG moving business, taking many of the long haul moves himself when needed. Allen Smith, a truck driver advocate who is driven by the desire to help others succeed within an industry where injustice, unrewarded sacrifice, and lack of respect and recognition exists. Allen and his wife Donna are hosts of Truth About Trucking ”Live” on Blog Talk Radio. Other websites include AskTheTrucker, TruckingSocialMedia, NorthAmericanTruckingALerts, TruthAboutTrucking, and many Social Media websites. In 2011 Allen and Donna hosted the first Truck Driver Social Media Convention, designed to create unity and solutions for the trucking industry. This is now being extended through the North American Trucking Alerts network as those within the industry join forces for the betterment of the industry. Allen strongly supports other industry advocates who are also stepping up to the plate to help those who share honesty, guidance and direction. He believes that all those involved in trucking need to be accountable for their part within the industry, including drivers, carriers, brokers, shippers, receivers, etc… The list of supporters and likeminded people grow daily, networking together and sharing thoughts and ideas for the betterment of trucking. He has coined the popular phrase "Raising the standards of the trucking industry"
What do you have to say about this? - Be the first!